I look annoyed here because I have just realized that my microphone is bigger than my head. Someone needs to take pity on me someday and make a really great mesh microphone with news reporter animations - into which I can put my own textures - so that I can buy it and be a proper freelance SLaction News Reporter. In case it isn't obvious from the logos on my microphone and t-shirt (that I made myself), SL12B starts soon! 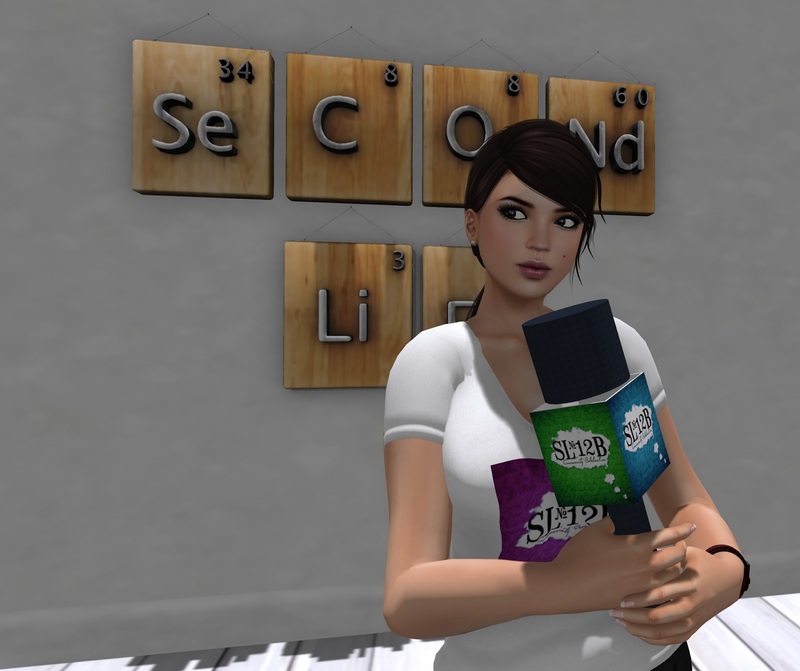 In fact, the SL12B sims open to the public tomorrow, June 21st at noon SLT. Since the place is so big, I am linking to a page with SLURLS to specific stages (for events) and for specific exhibitors. NOTE: You'll want to go to the Cake stage on Sunday, June 21 at 4 pm SLT to see Lauren Weyland (SL's Greatest Comedian) perform some comedy! There are two gift areas: one on the Spectacular sim and one on the Impressive sim. SL12B also features a prize hunt called the SL12BIG Hunt. I haven't seen any previews of the gifts or hunt prizes, but that is no surprise because no one ever tells me anything.